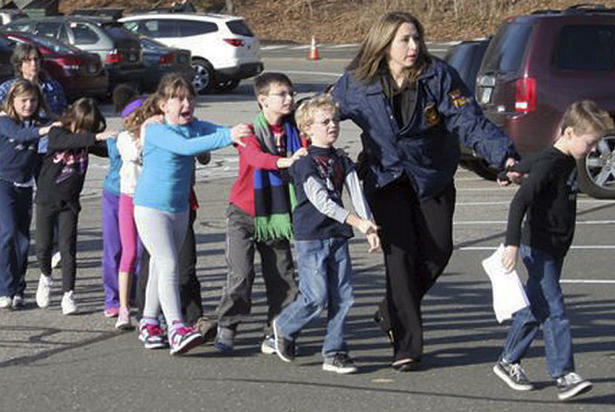 A heavily armed gunman killed 26 people, including 20 children aged 5-10 years old, in a slaughter in an elementary school in Connecticut on Friday, one of the worst mass shootings in U.S. history. 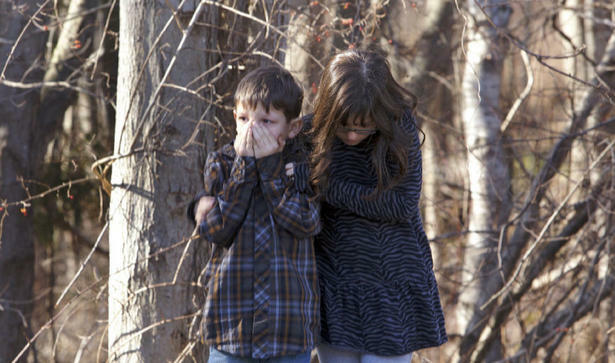 The gunman - who according to a media report took four guns and wore a bulletproof vest - was killed inside Sandy Hook Elementary School in Newtown, Connecticut State Police Lt. Paul Vance said in a conference. Vance said authorities found 18 children and seven adults, including the gunman, died at the school, and their two children were pronounced dead later after being taken to a hospital. 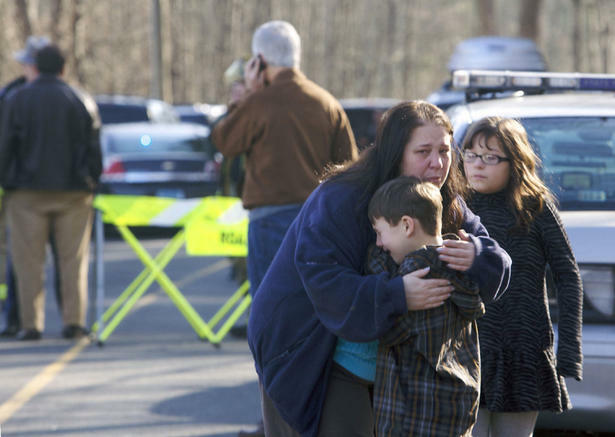 Another adult was found dead at the scene related in Newtown, said, bringing the number to 28. "Our hearts are broken today," said President Barack Obama in an emotional televised address to the nation. "Evil visited this community today," said Connecticut Governor Dannel Malloy journalists. 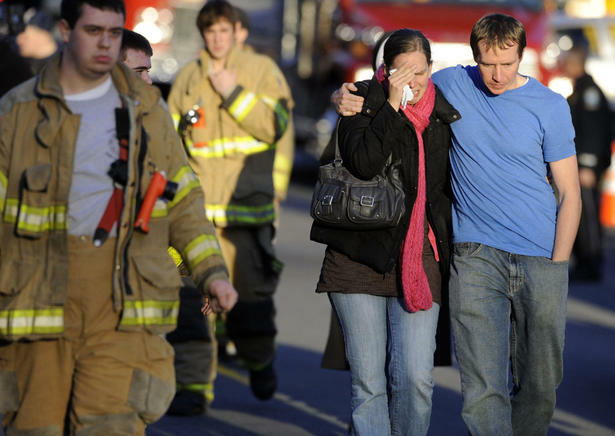 Two police sources told Reuters the investigation confirmed that the shooter had been identified as Adam Lanza, 20. Ryan Adam's brother Lance was "well in custody or being interrogated" at this time, one of the sources. The New York Times reported that the gunman entered a classroom where his mother was a teacher, shot his mother and then to 20 students, mostly in the same classroom, before shooting five adults and others to commit suicide. Another person was shot in the school and survived, the Times said. The tragedy holiday season was the second shooting in the U.S. this week and the latest in a series of mass killings this year, and was sure to revive a debate about gun laws in the United States. 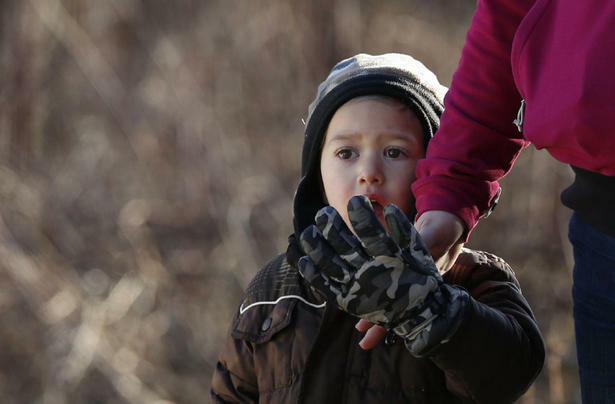 Chaos seemed children gathered in their classrooms for morning meetings in Sandy Hook Elementary in Newtown, a city of 27,000 inhabitants in Fairfield County, about 80 miles northeast of New York. The police broke into the school scene and locked, running children, some of them bloodied, with security. 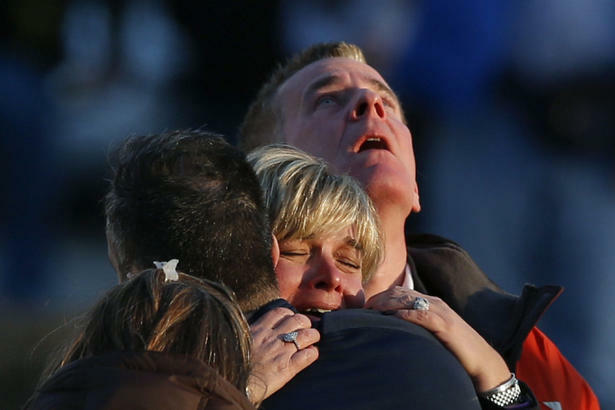 Anguished parents converged frantically searching their daughters and sons. Neighbors and friends wandered in shock, looking for information. "It's hard to believe that something like this could happen in this town," said resident Peter Alpi, 70, as she fought back tears. "It is a very quiet town. Maybe it's too quiet." Hours later, Obama, wiping away tears and pausing to collect his emotions, lamented the "beautiful young children between the ages of 5 and 10 years of age" who were killed. He ordered flags flown at half mast on public buildings. "As a country, we've been through this many times," Obama said, listing a list of recent shootings. "We will have to unite and take meaningful steps to prevent further tragedies like this, regardless of politics," Obama said in an apparent reference to the influence of the National Rifle Association on members of Congress. Obama remains committed to trying to renew the ban on assault weapons, White House spokesman Jay Carney said. 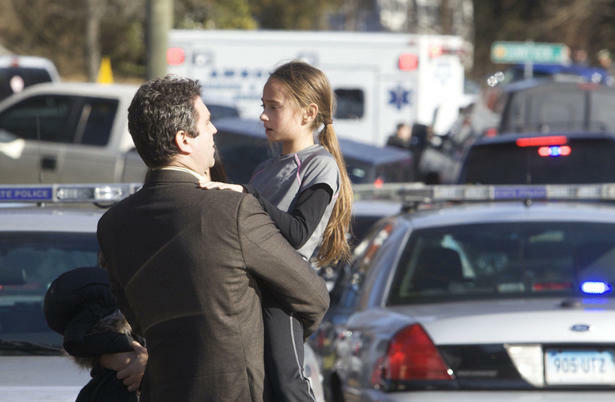 Vance said the shooting took place in two rooms of Sandy Hook Elementary School, which teaches children from kindergarten through fourth grade, about 5 to 10. Witnesses reported hearing dozens of shots, some said that about 100 rounds. "It was horrible," said Brenda Lebinski father, who rushed to the school where her daughter is in third grade. "Everyone was hysterical -. 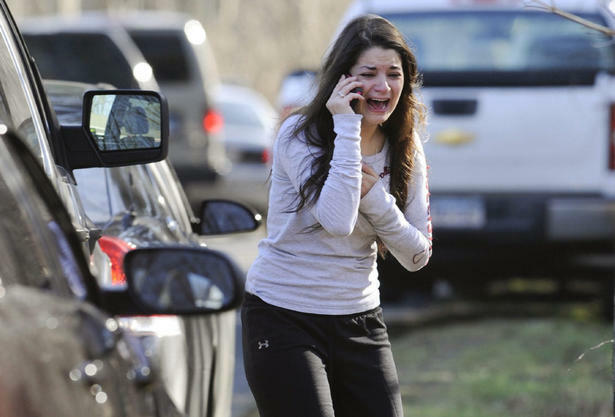 Parents, students had children leaving school bloodied, do not know if they were shot, but were bloodied.». Lebinski said a mother who was at school during the shooting told a "masked man" went into the principal's office and may have triggered the director. Lebinski, who is a friend of the mother, who was at the school, said the director was "seriously injured". Professor Lebinski daughter of "immediately closed the door of the classroom and put every child in the corner of the room." Melissa Murphy, who lives near the school, monitor events in a police radio. "I kept hearing the call for mass casualty kit and shout:" Send them all! Send everyone! '"Said Murphy." It seems like it might be really happening. I feel like I'm in shock. " The higher figure than that of one of the school shootings in the United States most famous, the 1999 slaughter at Columbine High School in Littleton, Colorado, where two teenagers killed 13 students and staff before committing suicide. One girl interviewed by NBC Connecticut reported hearing seven strong "booms" while in gym class. Other children began to mourn and teachers moved students to a nearby office, said. "A police officer came and told us to run outside and we did," said the unidentified girl in the camera. In Hoboken, NJ, police cordoned off a block in connection with the shooting of Connecticut, but an official told reporters that there was no body inside, contrary to a previous report media. The United States has experienced a series of riots mass shooting this year, most recently in Oregon, where a gunman opened fire in a shopping center on Tuesday, killing two people and then himself. The deadliest occurred in July at a midnight screening of a Batman movie in Colorado that killed 12 people and wounded 58. Connecticut Shootings seems certain to trigger renewed debate on gun laws. New York Mayor Michael Bloomberg, founder of the advocacy group Mayors Against Illegal Guns, said it was "almost impossible to believe that a mass shooting in a kindergarten class could happen. "We need immediate action We've heard all the rhetoric before we have not seen what is leadership - .. No White House and in Congress," Bloomberg said. "That must end today." In 2007, 32 people were killed at Virginia Tech in the worst act of criminal gun violence in U.S. history. In another school shooting known outside the United States, a gunman opened fire in 1996 at an elementary school in Dunblane, Scotland, killing 16 children and one adult before committing suicide. thanks for nice post, i like your post and i wan't to share with my friends. if you want to she more about children care and education then visit 27 Killed, Mostly Children, at Sandy Hook Elementary School in Newtown, Conn..